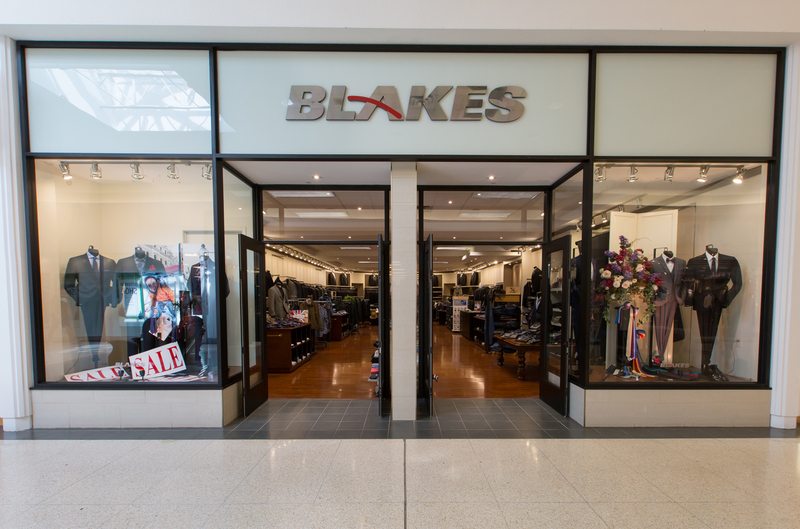 Blake's has been dressing Niagara's Grooms in the latest fashions for more than 30 years. Whether it's the newest full dress tails - or the latest longer tuxedo jackets... Blake's has them all. With Hundreds of vest and accessory colours right on the premises - Colour coordinating with this seasons Bridesmaids colours is no problem. In fact - when it comes to style and selection - forget about pictures and catalogues. Blake's at the Seaway Mall in Welland has all their formal wear and accessories IN STOCK ! This means that you no longer make selections from a catalogue but rather you can try on your choice of tuxedo right on the spot at Blake's.